Home › Current events › Iwulski’s biography is an example that shows one of the motives underlying the need to reform the justice system. Iwulski’s biography is an example that shows one of the motives underlying the need to reform the justice system. Zbigniew Ziobro’s comments regarding the Iwulski case. 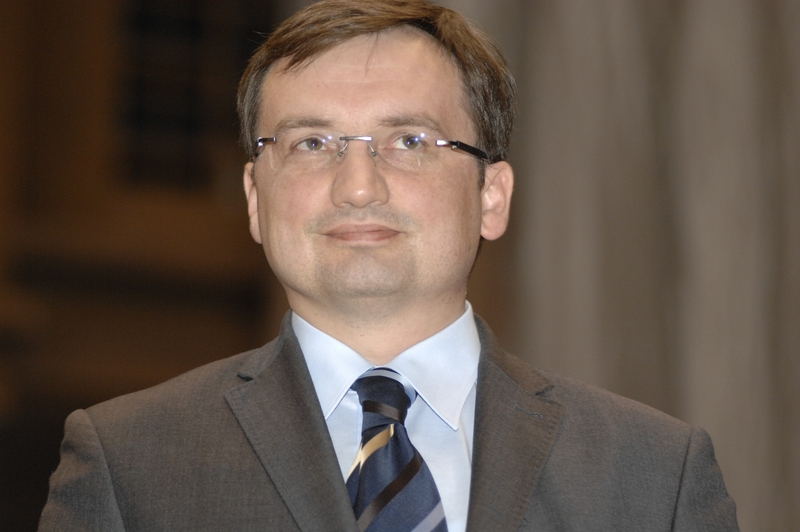 The biography of Józef Iwulski, a man who was appointed by outgoing president Małgorzata Gersdorf to perform the duties of the Poland’s Supreme Court first president, is a symbol that shows one of the motives that underlie our reform of the judiciary” – said Zbigniew Ziobro, head of the Ministry of Justice, on Monday. Portal Onet reported on Sunday that the head of the Supreme Court, justice Józef Iwulski, ruled not only in one case, as he himself claims, but in several political cases during the era of the Polish People’s Republic; those convicted in the cases were members of the political opposition. In addition, Monday’s “Gazeta Polska Daily” reported that it obtained Institute of National Remembrance [Polish IPN] files, which show that in 1976, Judge Iwulski was sent to the Internal Military Service [Polish WSW] training center, where, after receiving diploma from Peoples Republic [Polish PRL] counterintelligence services” he completed a six-month training program. This took place at the WSW Offices in Kraków. When asked about these reports at the Monday press conference, Ziobro suggested that they show “how imprecise the Supreme Court has been to date in describing the history of the past, related to the decision making of individual judges working in the Supreme Court. “This is no ordinary institution – from the Supreme Court we should expect the highest of standards and reliability of information” – the Minister stressed. “This figure, as described in the biography of Judge Iwulski, specifically in this Supreme Court, as a man who was appointed by president Małgorzata Gersdorf to perform the duties of the first president, is a clear example that shows one of the motives and reasons that forms the basis of our reforms.” – the Minister added. In his opinion, the story of Judge Iwulski “speaks for itself”. “In this situation, there’s not much additional commentary necessary, it’s enough to confront it with the assurances made – by these type of people, like Prof. Strzembosz, or those who spoke on behalf of the Supreme Court, like the spokesman of that court, like president Gersdorf – that they were completely separated from the allegations, in their words, of the connections of certain judges with the communist period and their political servitude, or even servility, towards the previous regime.” – said Ziobro. “Unfortunately, this is not the case and I hope that in this newly formed composition of the Supreme Court – at least gradually, because it will be a bit of a process, now that it was adopted after the President’s veto of the construction of the Supreme Court, which will involve certain stages in supplementing the Supreme Court with a new composition, and new representatives – that prominent representatives of Polish law will be chosen, who are free from these types of burdens connected with the previous system.” – stressed the politician. “In this regard, whether a person is a crystalline citizen can be assessed from a civic perspective if she/he strictly obeys and complies with the rule of law that has been adopted and has not been challenged by the Constitutional Tribunal.” – said Minister of Justice Zbigniew Ziobro. On Thursday, the National Judicial Council approved the appointment of five judges to the Supreme Court who, despite reaching the age of 65, expressed their will to continue serving on the court. In turn, the appointment of seven judges, including the president of the Chamber of Labor and Social Insurance, Józef Iwulski, and the president of the Criminal Chamber, Stanisław Zabłocki, were denied. Ziobro, during the Monday press conference, was asked about his opinion of Judge Zabłocki, who “is probably a model citizen”. “Whether someone is a crystal man, I leave God to judge him. However, in order to express my opinion, which can always be flawed, I would have to eat a barrel of salt with someone in order to say that this man deserves people’s trust.” – replied Ziobro. He also stipulated that “he would not dare to raise against Zabłocki any allegations of this nature, which have to come to light in relation to some other judges related to their past”. “As for Judge Zabłocki, I will say it in this way. Whether someone is a crystalline citizen can be assessed from a civic perspective if he strictly obeys and complies with the rule of law that has been adopted and has not been challenged by the Constitutional Tribunal.”, “added the minister. Ziobro also reiterated that the law regarding the Supreme Court – which the Constitutional Tribunal did not challenge – requires, apart from submitting a declaration regarding one’s interest to continue serving the court, one to submit a doctor’s declaration. “As far as I know, Judge Zabłocki did not submit such a declaration. If that is indeed the case and he has not complied with the requirements of the law, then it should be surprising that (Judge Zabłocki) is surprised that the National Judicial Council, in this situation, denied his appointment to the Court.” – the Minister said. In his declaration, President Zabłocki did not refer directly to the new law on the Supreme Court but to the constitution. On Monday, in a statement posted on the Supreme Court website, Judge Zabłocki wrote, among other things, that during the period of martial law and until the democratic changes in 1989/1990 he was a counsellor, and that he became a judge of the Supreme Court in April 1991. “During my work as an attorney, I tried to behave the way decent people and brave lawyers should behave. It is true that I defended in several cases that can be described as political and in each of them I did – in my opinion – everything that an attorney for the represented person could have done. These cases were mainly in defense of students and young campus workers at my alma mater, the University of Warsaw, who were repressed for their opposition activities.” – Zabłocki added in this statement. As was also pointed out by judge Zabłocki, the most important case of his life was “representing, through the rehabilitation process, which took place in 1990 in the Military Chamber of the Supreme Court, the heroic Captain Witold Pilecki”. ‹ The 2019 parliamentary elections will be the last major opportunity for the Polish opposition. Either “what was” returns or the old world will fall.